In a pinch for some dim sum craving... remembered that they sell them at Whole Foods Post Oak. 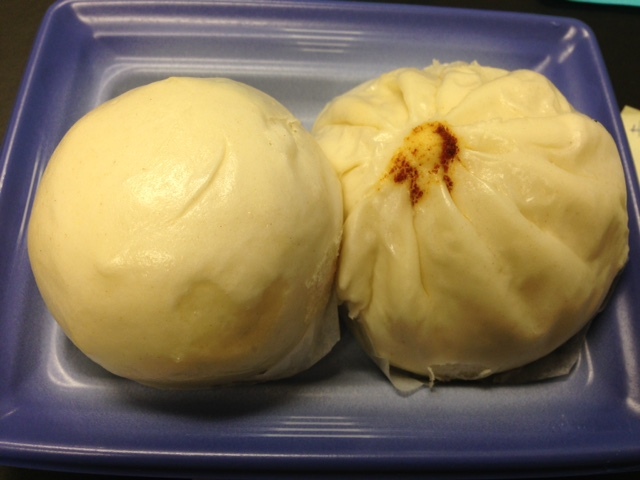 This is the steamed pork buns. The order came in 2s, but I snagged one. Pretty decent quality in terms of non-dim sum restaurant setting. 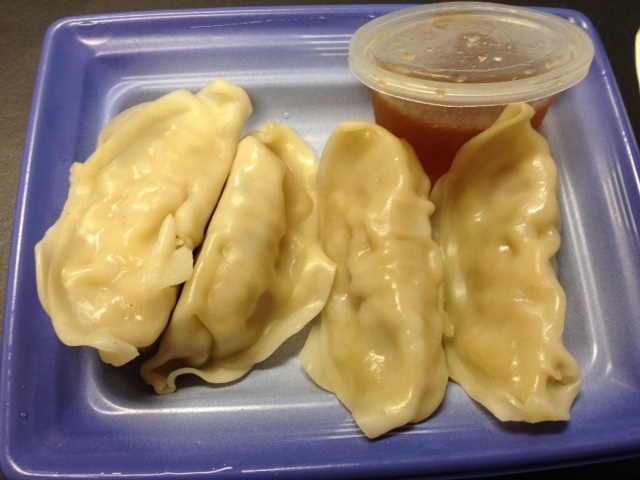 I got dumplings. So, how it works is, the order has 4 pieces, and you can mix and match from all they have that day. They have pork, chicken, veggie, and other variations. Same goes for the dessert buns. Each of the dessert bun orders comes in 2s, you can mix them with custard center, lotus centered or red bean centered. Overall, for to go dim sum, it's not bad. You can have more choices if you want. The server was super patience, but from what I can tell, alot of office folks come thru and get some dim sum for lunch and go back to their offices. It's nice for a quick bite. Decent food and not too filling that put you to sleep. Nice little tapas.